Organic, grass-fed Blue Earth Alemar Cheese wheel for $54.00. 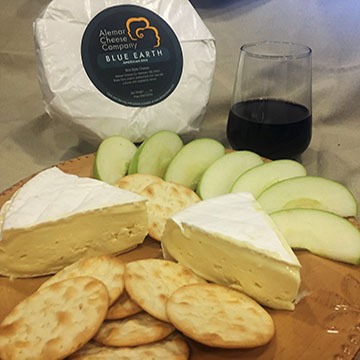 Blue Earth is a rich and smooth Brie. Regularly $55 for a 2.25# wheel, we are offering this cheese for $54.